Despite a growing body of historical writing on the life of General Eoin O’Duffy, there are still large gaps in our knowledge of this enigmatic figure. His various roles as organiser par excellence in the GAA, Irish Volunteers, Garda Síochána and, of course, as head of the Irish Brigade during the Spanish Civil War, are well known. Often derided as a hysterical, grandiloquent, and even absurd personality, O’Duffy nevertheless manages to capture the imagination and curiosity of those interested in Irish politics during the inter-war period. It is probably fair to say that his role as head of the 700-strong Irish Brigade on the side of General Franco’s Nationalists stands out as O’Duffy’s best known politico-military achievement. But it is due to this very fact that the General’s reputation in Irish folk-memory is held with a mix of retrospective embarrassment and scorn after the tragi-comic performance of his brigade in the Spanish Civil War. One fact that tends to be forgotten, for example, is that O’Duffy’s ideological support for Franco had not come out of the blue—the Irishman had, after all, been rubbing elbows with international fascist leaders from as early as 1934. It is also noteworthy that his idea of leading Irish soldiers abroad to fight on the side of a fascist army was not completely new for him in 1936 either. 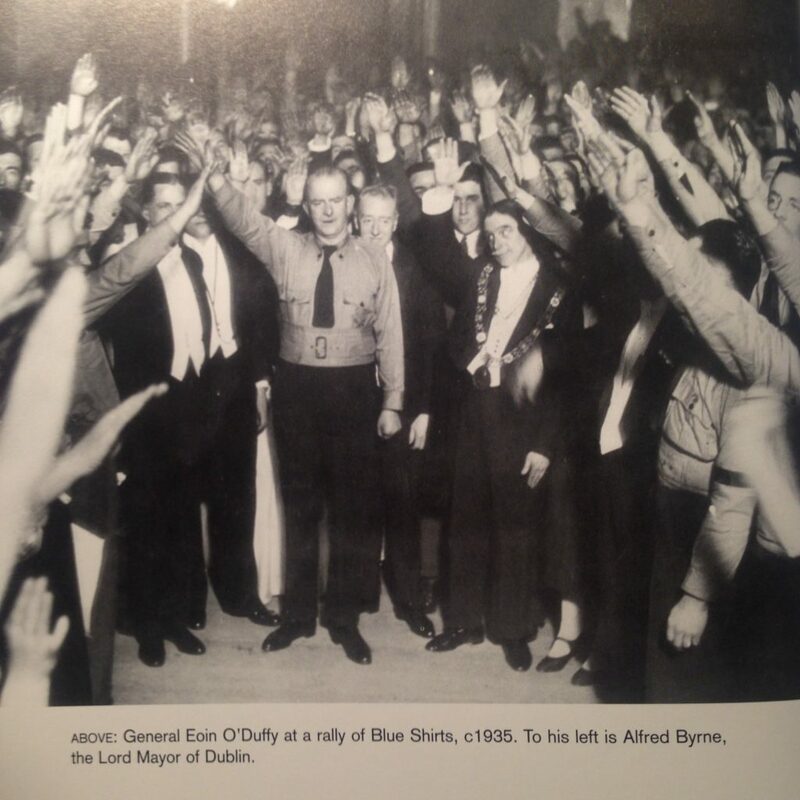 O’Duffy had pledged Blueshirt volunteers to Benito Mussolini’s forces after Il Duce invaded Abyssinia in the autumn of 1935. This article will examine Eoin O’Duffy’s involvement in international fascism during the mid-1930s before turning to his promise to Mussolini of 1,000 Blueshirts in the Italo-Ethiopian war. It will also investigate how people in Ireland reacted to O’Duffy’s pledge before examining why he never went. Read the whole thing. Former Reinhardt professor Pat Zander gave a talk on O’Duffy for our Year of Ireland back in 2012. This entry was posted in Africa, Fascism, Ireland, Italy, Spain, Twentieth Century by jgood. Bookmark the permalink.